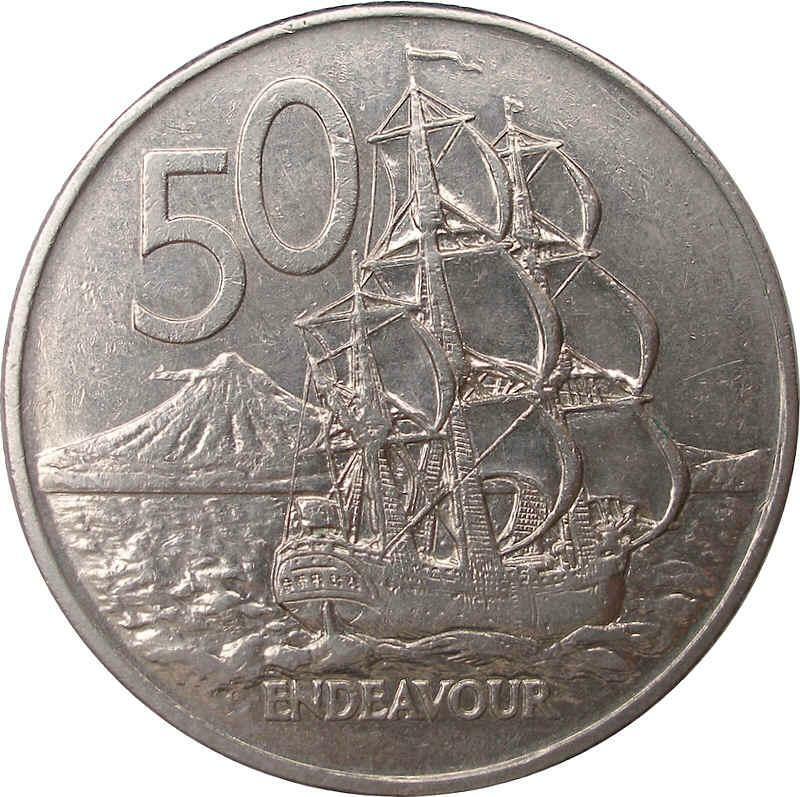 HMS Endeavour, boat commanded par James Cook for his first exploration of the Pacific in 1769-1771, sailing to the right, passing in front of Mount Taranaki. Name below, value above left. 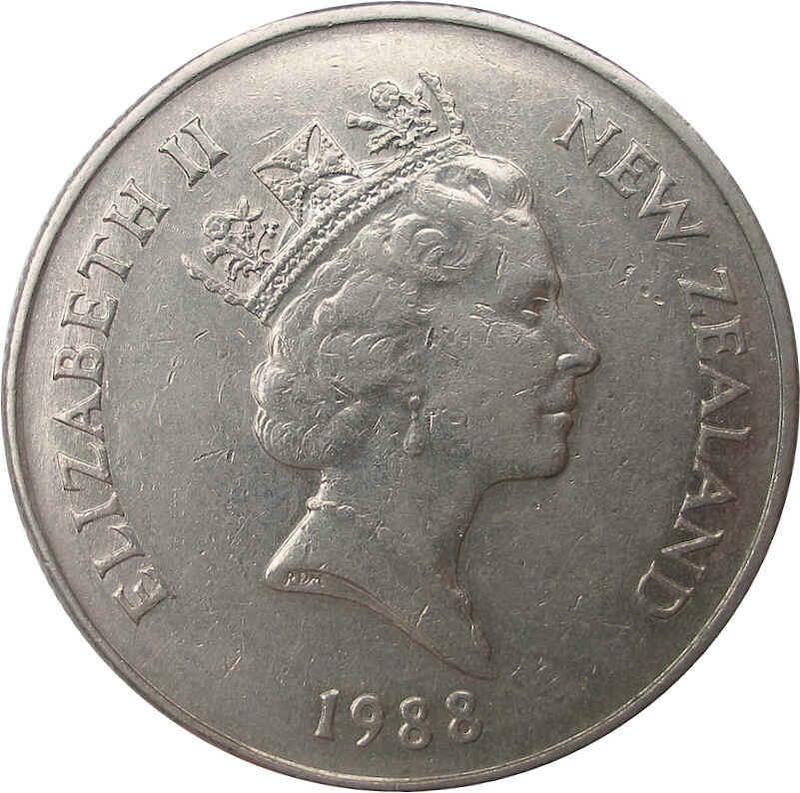 Reginald George James Berry OBE was a New Zealand artist, noted for creating a large number of postage stamp and coin designs. He was born in London in 1906, and emigrated to New Zealand in 1925. Two die varieties for 1988 issue known. Die B (right) lacks a rope in the rigging and has a different lettering for the signature JB.